I love wearing maxi dresses and they are my favorites every time. But the bohemian dresses are very fashionable this year. 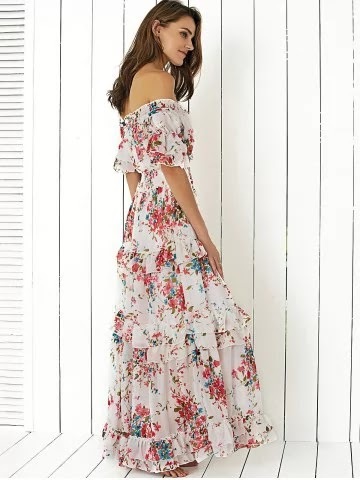 I especially like floral maxi dresses ver much. You can find lots of dresses at Rosegal . By the way, you want some new clothes, why not taking a look over here? Summer sales on going , all from %33 off. Use Code RGEN for another %10 off ! Time for a new outfit :) If you interest it and if you want to see more models you can click on the image.